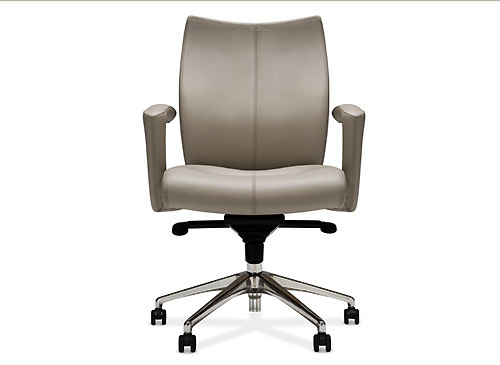 Swivel chairs with casters are a must in a home office, so in a recent research trip to find a stylish piece, I was amazed at how little I saw that was special. 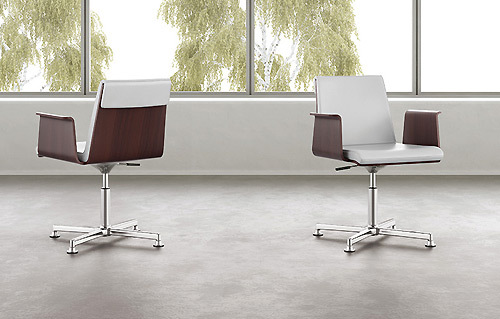 Yes, there are hundreds of office furniture suppliers with chairs that roll, but most, if not all, are quite vanilla and very corporate looking. A tasteful home should NEVER look corporate – leave that for your 9-5 job. 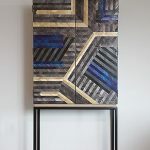 After tireless hours in person and on the web, I found 7 chairs (6 runner ups and one winner) that I could easily incorporate into one of my interiors. Can you guess the winner? 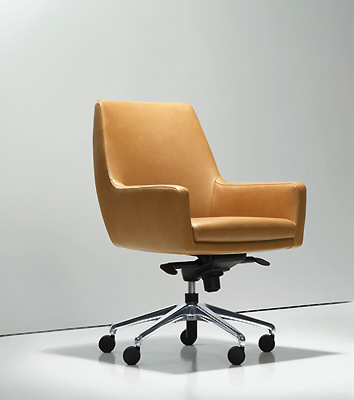 Based in North Carolina, Hancock & Moore makes the ASCARI swivel chair that is quite beautiful. The square “tufted” back and sides add a little oomph to the chair that could otherwise be considered a basic tilting swivel chair. 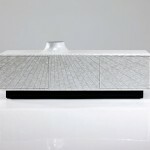 The leather can be customized in various colors to add pop to your room. Designed by Michael Schmick for Stylex, the SWING+ deluxe office leather chair exudes utilitarian luxury and could easily fit into a home office. The stitching down the middle and the half-moon “swoop” along the top of the back are very nice details. Bernhardt Design offers the lovely, lovely CARDAN chair – a simple but incredibly chic swivel and tilt chair with a delightful silhouette. 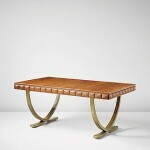 It’s mid-century modern look is timeless. The German design duo of Jehs + Laub have designed the GRAPH chair for Wilkhan – a wonderful slender aluminum swivel chair with butter-soft leather upholstery that is both modern and elegant. One of my go-to lines of beautiful Italian furniture makers is Giorgetti, whose classic chairs are updated for our modern lives. 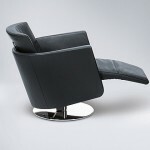 They didn’t disappoint with their TEODORA swivel chair. 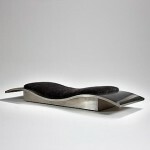 Available in either leather or fabric, the organic lines of this chair make it a pleasure to contemplate. 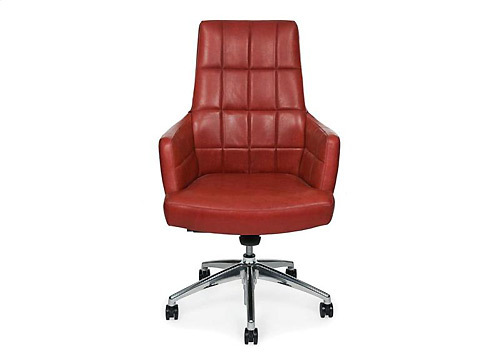 For those with a more architectural palate but who still appreciate some warmth in a home, the MADRID swivel chair form OFS is for you (it also comes with casters). 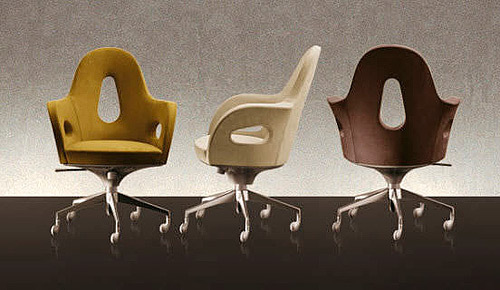 A beautiful wood frame forms the chairs while the soft and delicious leather cocoons the body. You have a minimalist interior – bingo! 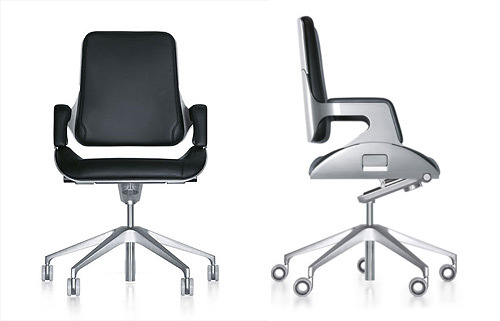 The winner of my seemingly endless hours of research is Hadi Teherani’s SILVER swivel and tilt chair for Gemany’s Interstuhl (fist image and above). 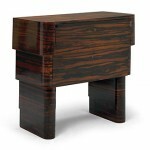 This baby fits into any modern décor and is chic beyond words. 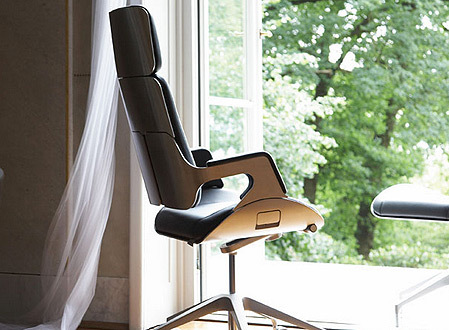 Suffice it to tell you that this IS a Bond chair – yes as in James Bond! “M” had a suite of them in her office in her last James Bond movie. 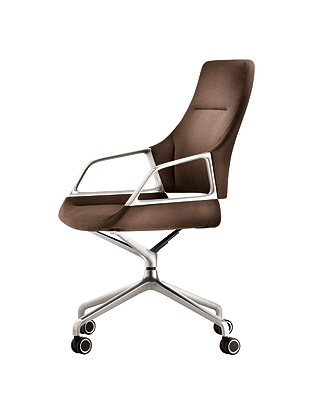 Aside from its pedigree, this is truly a remarkably beautiful and comfortable modern chair.